This has been on my todo list for a while. I don't feel like a legit blogger since there aren't watermarks slathered all over my pictures on here and on my "business" hobby page on Facebook. I've decided to take the plunge. I have heard horror stories from fellow bloggers and embroiderers who have had their images stolen and have found them being used improperly. Let me just say that I am 99.987% sure that other people have probably already blogged about this. But I honestly figured this out on my own. There was one part I was totally stumped on and I'll talk about that a little farther down. I used the totally free online photo editor picmonkey.com. They know nothing about me so there is no way that I was paid or perked to use them. I use them because I used picnik back in the old days, and needed a similar program when picnik folded. The funny thing? I have photoshop on my computer and have used it VERY minimally (I think photoshop uses a part of my brain that doesn't exist). I'm sure it does the same thing and is better than picmonkey in more ways to count, but to do this quickly I turned to the familiar. Ok let's back up... wait how can we back up when we haven't started? Sometimes I confuse myself. Watermarks are SUPER easy to do when you are editing an image. But I wanted to take it a step further and add it to pictures I take with my phone. 40% of what I put on my business page is taken from my phone. I wanted my watermark to be uniform from the computer AND my phone. I went in to just play around with basic watermarking. So I clicked edit>upload photo>choose photo. Next I chose the font I wanted. So I click on Tt>didact gothic>typed in create pretty. I took this extra step because I wanted to get a feel of what the watermark would really look like on a picture. I wanted SIMPLE. Less is more. Especially when I usually add more text to these pictures. I wanted the watermark to blend in as much as possible. Next I blew up the text. That sounds really great... but it's not very exciting. There it was size 138. I made it size 618. I also changed the color to white and faded it 70%. I adjusted it diagonally and then added the rest of my text. Simple right? I love how the watermark blends in yet is visible. 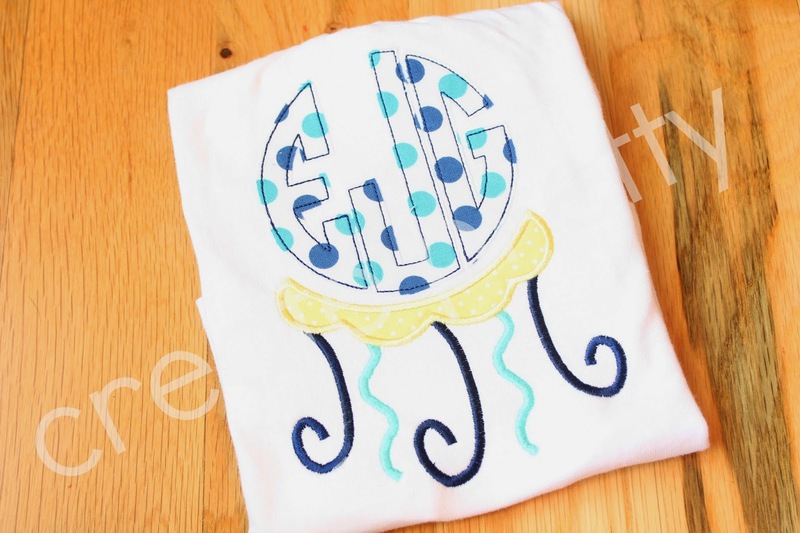 The "white shirt" writing is actually overlapping the watermark but you can't really tell (or it doesn't jump out like typical overlapping would). 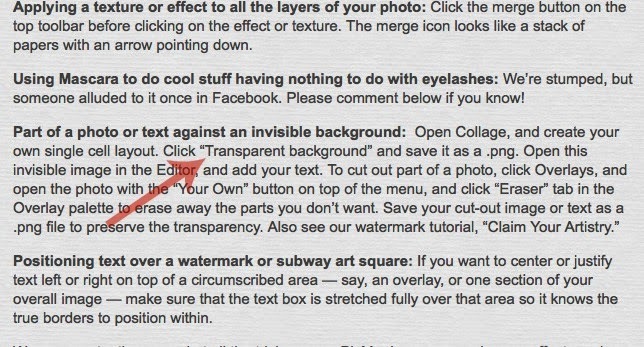 Super easy to do but not practical when you need to add this to ten pictures. Once I decided on a watermark font/fade/color I needed to create an image of that watermark with a TRANSPARENT background. Why? 1. So I could pull the watermark image up and overlay it over any future photos. That will save me the step of having to create it each time. 2. I needed the transparent background image for an app called Watermark It Pro. To keep this post from becoming a book I'll do a second post about this app and how to use the picmonkey photo there. This is where I had to consult google. I knew what I needed to do but I wasn't sure how to do it. A quick search landed me in pic monkey's tips no one knows, and I quickly found my answer. There's a lot of snark in these answers so it's kinda fun to read... the mascara comment? Hilarious. The key is you have to create a COLLAGE. This is the only option from the homepage that will allow you to make the background transparent. Click on "collage" and open a random picture. It doesn't matter which picture because you'll delete it. You are really creating a fake collage. Near the first arrow you'll see my "fake" picture that I won't use and the second arrow is pointing to the X in the upper right hand corner of the collages. Delete 2 of the boxes so you are left with a single cell (or ONE white box). Click on the painter's pallet and the click transparent background. The white of the cell will disappear (where my red dots are). When it opens in the edit mode it will look like a gray and white checkerboard. That's good. Now recreate the watermark. This is exactly what I did in the first few steps of this post. Choose the font, size, color, fade. Don't be so worried about the size because you will be able to adjust the size each time. You can't really see it, but it's there. Save that and you have a watermark with a transparent background. Since you've created the watermark, you now need to upload it onto the picture you are wanting to watermark. Go back to the home screen: click edit>open photo and choose the photo you want to watermark. Click "your own" under overlays and choose the transparent background image you just saved. Instead of pulling up a gray checkerboard box, it will just pull up the watermark you made. Click save and you're done! It may seem like a lot of work up front but once your watermark is created you can use it over and over without redoing it. I'll share a follow up post with how to add watermarks to iPhone photos. I figured this was enough pictures for one post!